A lot of white heads. With picture. 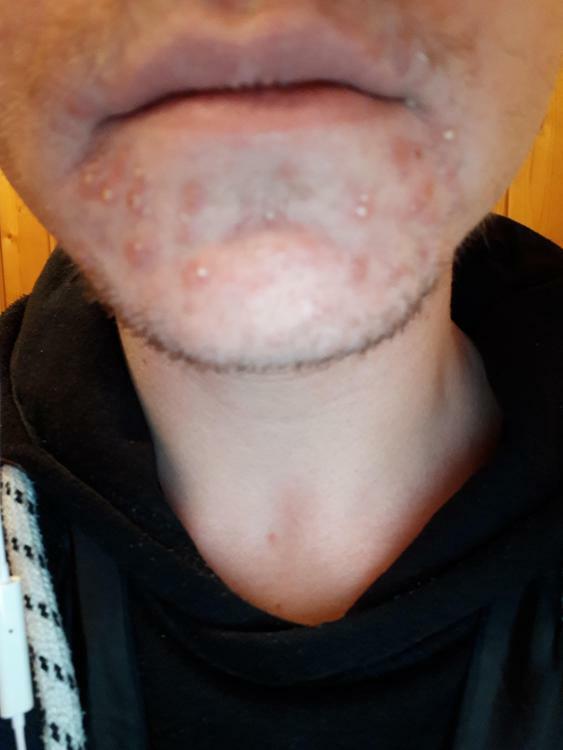 Will duac acne gel help with this breakout? I only got it on my chin. The doctor gave me gel. And what are those big red areas on the side with like 3 whiteheads in them?